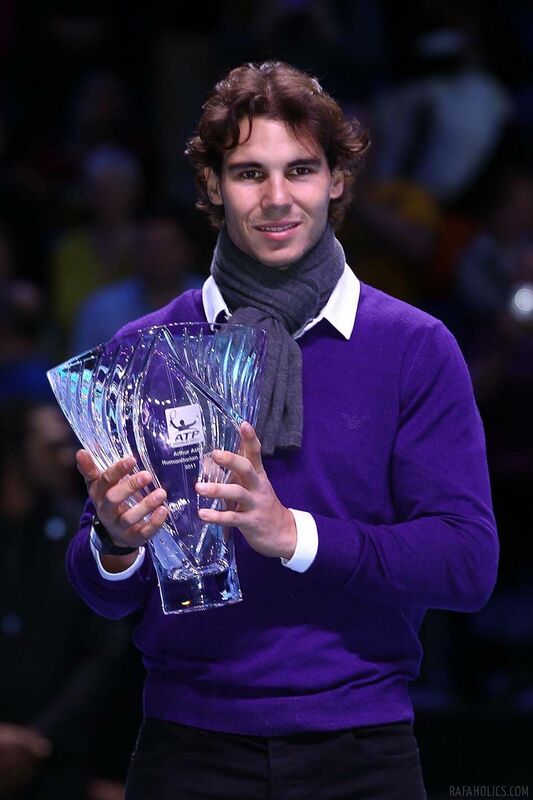 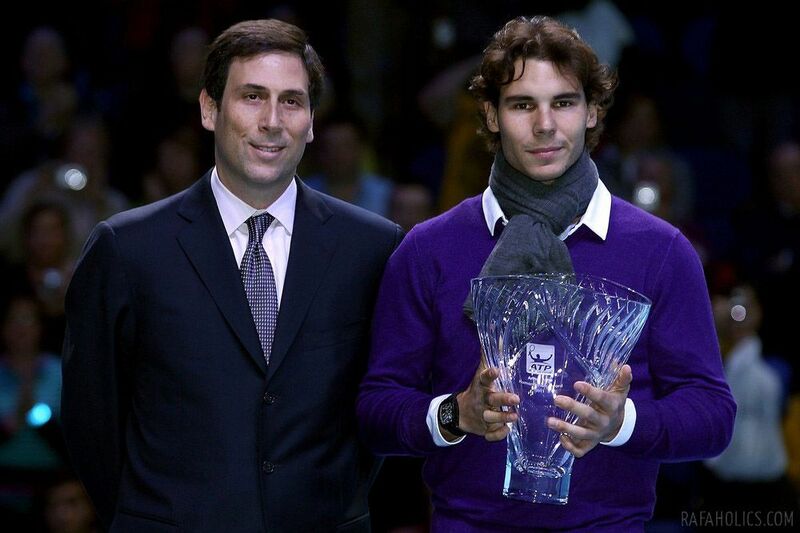 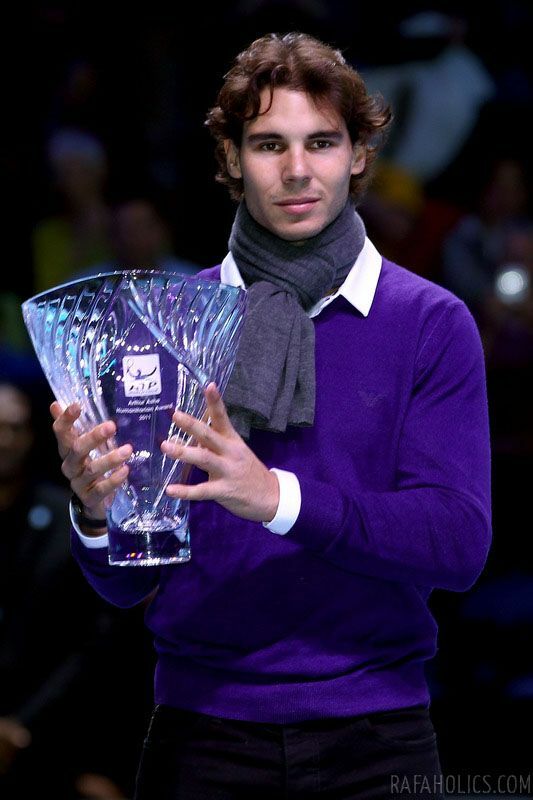 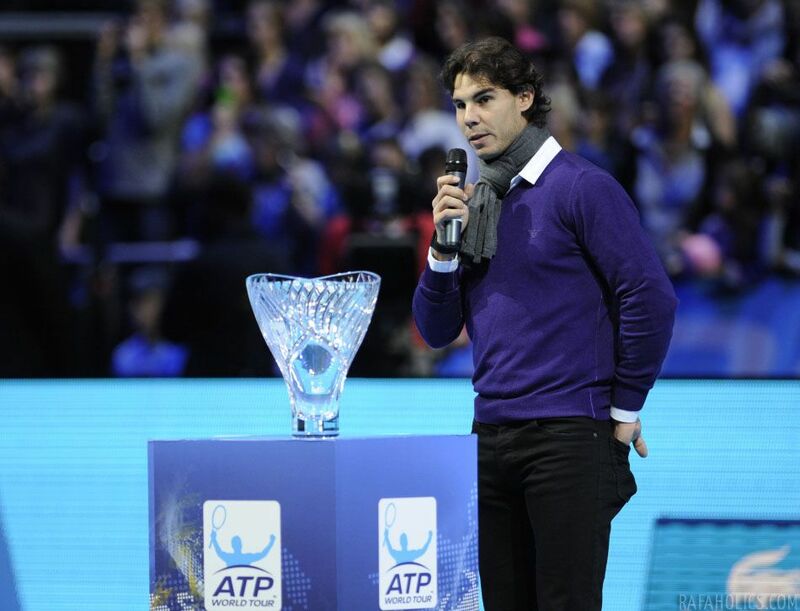 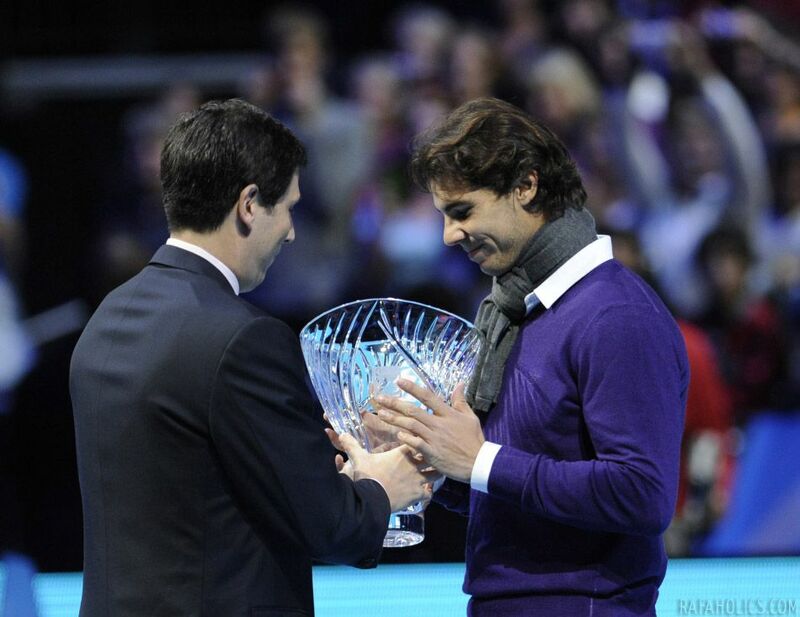 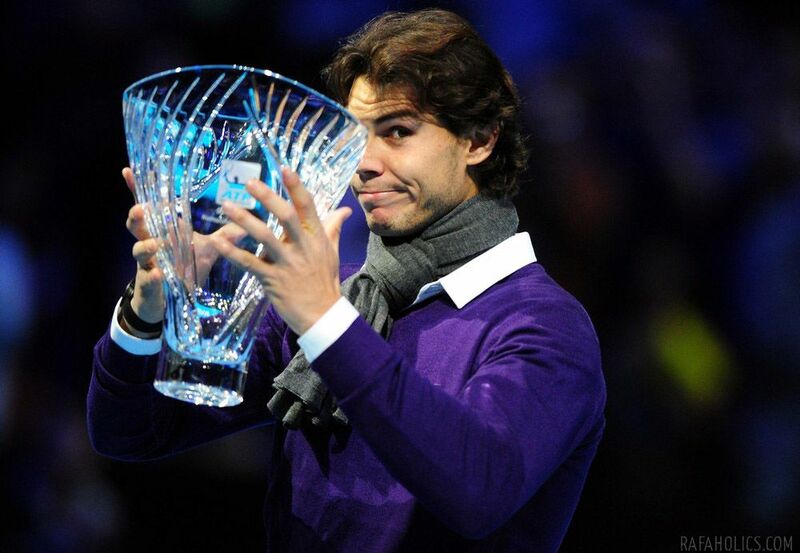 How cute does Rafa look in his purple cardigan sweater & scarf? 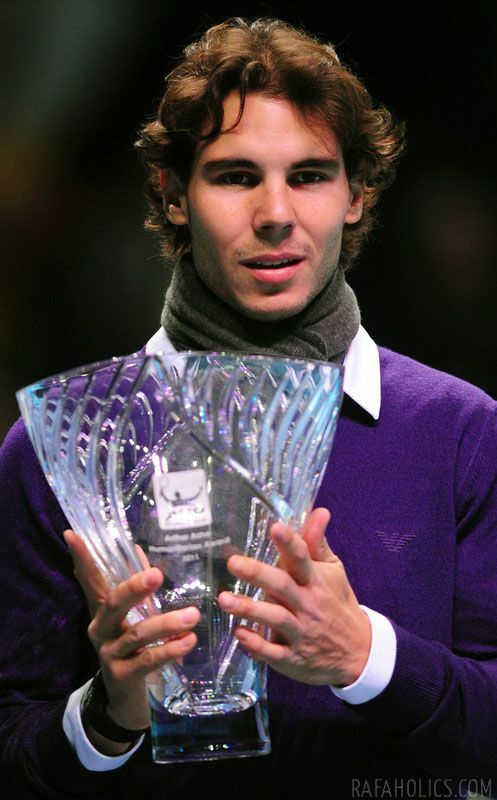 wow..
Rafael Nadal of Spain poses with the Arthur Ashe Humanitarian Award presented to him on day four of the ATP World Tour Finals tennis tournament in London on November 23, 2011. 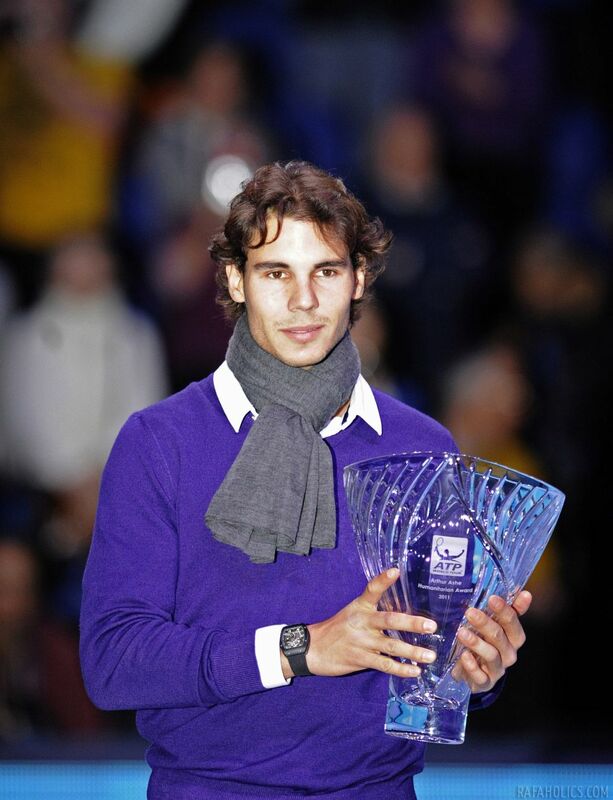 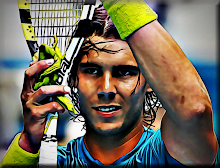 The award was presented to Nadal in recognition of his contributions through the Rafa Nadal Foundation which offers educational programmes for the socially disadvantaged.